WARNING: The premise of this film contains unmarked spoilers for the series thus far. One year has passed since the defeat of the avaricious warlord Drago Bludvist. Since that day, Hiccup, the new chieftain of Berk, has been leading his fellow riders on a campaign to rescue any remaining dragons captured by the trappers and bring them back to their village. In doing so, the island has become overpopulated with dragons. Remembering a story his father once told him, Hiccup wishes to find the Hidden World, which is said to be a dragon’s paradise. However, their exploits have caught the attention of an infamous dragon hunter known as Grimmel the Grisly. Grimmel had previously captured a female white Fury, which Astrid dubs a Light Fury, and sets her free in an attempt to draw out Toothless. Because this species of dragons mate for life, the two become enchanted with each other instantly. However, as a result of her poor treatment at Grimmel’s hands, she is afraid of humans, notably fleeing when she senses Hiccup’s presence. Shortly after the dragons’ first encounter, Grimmel visits Hiccup’s house, telling the young chieftain that he has hunted down all of the other Night Furies and killing Toothless will ensure the species’ extinction. Luckily, Hiccup anticipated this and sets up an ambush for Grimmel. Unfortunately, the hunter escapes, setting Hiccup’s home ablaze in the process. Hiccup then proposes to his citizens and dragons that they leave Berk on a quest to find the Hidden World in order to protect themselves from the hunters. Throughout the course of the How to Train Your Dragon trilogy, Hiccup’s character has undergone an interesting arc. In the first film, he was the standard unassuming hero who manages to defy the expectations of his fellow villagers by stopping the dragon’s raids. He was far more confident in himself in How to Train Your Dragon 2, yet he had lingering threads of doubt when asked to succeed his father, Stoick the Vast, as the village’s new chieftain. With Stoick having died in combat, Hiccup realized he could no longer run away from his responsibilities, and ended up accepting his father’s title. Along those lines, his relationship with Toothless has been tested quite extensively over the years. The original film saw them develop a close friendship in a society that had not yet realized dragons were not mindless, destructive monsters. It was only natural for the second film to strain that relationship, and the writers justified doing so in an amazingly dark manner – by having Toothless be the one to kill Stoick. Obviously, Toothless wasn’t acting under his own accord when he fired the blast that took Stoick’s life, but the damage had been done – or at least long enough for Hiccup to have an existential crisis, get his metaphorical second wind from a pep talk, rescue his friend, and defeat Drago. In doing so, Toothless became the dragons’ alpha. In other words, The Hidden World is a film in which its two main characters start off at the top. Hiccup is the new chieftain of Berk while Toothless leads the dragons. 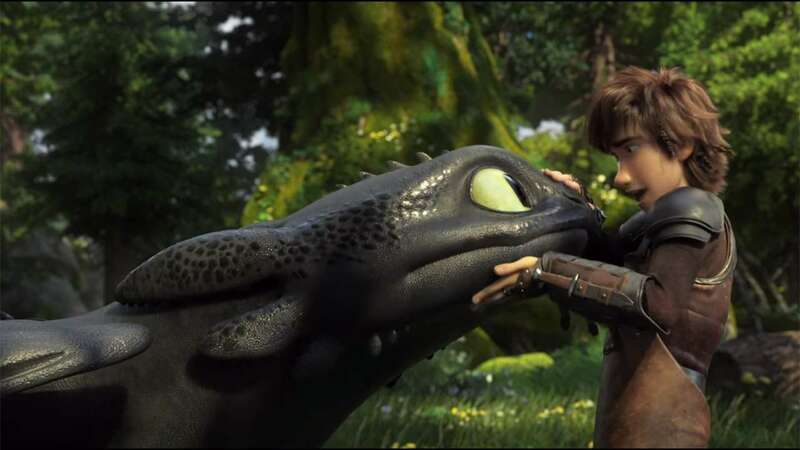 Furthermore, thanks to the hardships the two have endured, the friendship between Hiccup and Toothless is stronger than ever. Consequently, the writers of The Hidden World had an interesting conundrum on their hands. How could they possibly present any more challenges to this duo? If they attempted to introduce a character with the same motivation as Drago, they wouldn’t be covering any new ground. Where the writers go from there is quite interesting – the conflict of The Hidden World isn’t entirely driven by its villain. 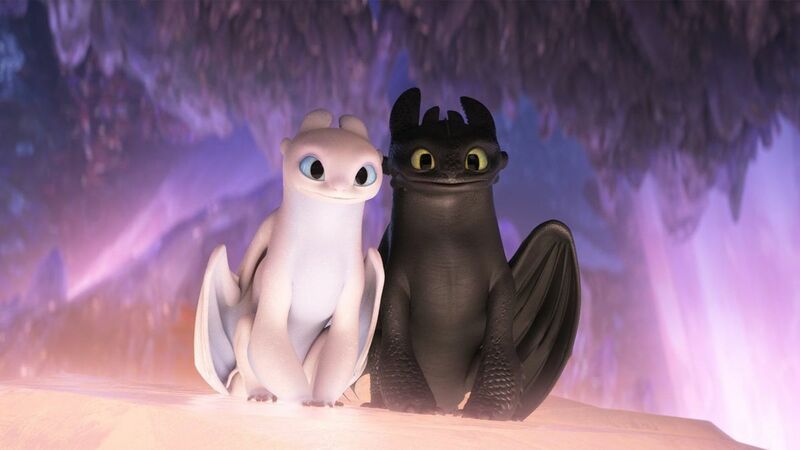 After the citizens relocate to a new island, Toothless’s relationship with the Light Fury flourishes. They do a mating dance, but when the Light Fury flies off, Toothless is unable to keep up with her due to his inability to fly by himself. Realizing how important the Light Fury has become to his friend, Hiccup designs a fireproof, automatic tail fin for him. When Toothless flies off with the Light Fury, Hiccup and Astrid discover the Hidden World when riding the latter’s dragon. With Toothless’s alpha status and now betrothed to the Light Fury, he is the ideal leader for the dragons that live in this paradise. The third installment of the How to Train Your Dragon trilogy provides an intriguing moral dilemma for Hiccup. He and Toothless have bonded over the course of the two films and television show leading up to The Hidden World. He then realizes he must set aside his personal feelings and do what is right for the both of them – even if it means saying goodbye. Though this does make for a gripping conflict, I have to say The Hidden World has an even weaker final act than that of its predecessor, which diminishes a lot of the goodwill from these scenes. I will admit it doesn’t rush quite as much as the final act of How to Train Your Dragon 2. Instead, what sinks the ending of The Hidden World is a combination of its comic relief characters, its villain, and its unduly cynical tone. The Achilles’ heel of The Hidden World is that it can’t decide on a tone. You will have these serious, introspective moments completely ruined by one of Hiccup’s friends cracking an inappropriate joke at the worst possible time. While the How to Train Your Dragon trilogy always had something of a comedic tone to it, the series knew when to set aside the jokes and get serious. Because The Hidden World doesn’t, suddenly characters who were legitimately funny in the previous two films are completely insufferable now. Despite his ominous moniker, Grimmel the Grisly is quite a step down from Drago Bludvist. It’s a shame because on the surface, I like his concept. He found himself in a similar position as Hiccup when he had felled a Night Fury. However, while Hiccup showed mercy on the dragon and befriended him, Grimmel slayed the Night Fury in cold blood. He was hailed as a hero in his hometown, turning into the odious man he is today. In other words, he is a true foil to Hiccup – similar to how Drago could be considered Stoick’s evil counterpart. Regardless, though the narrative successfully cements him as a legitimate threat, Grimmel is not the least bit intimidating. This is shown when Ruffnut, one of the many resident comic relief characters, annoys him into letting her go minutes after she gets captured. Although he uses this to his advantage by having her lead them to the villagers’ settlement, I didn’t get the sense that he pretended to be annoyed in order to further his goals. Instead, it feels as though the cards were stacked in his favor, yet he wouldn’t have realized it without an outside influence. The reason this matters is because it is partially due to Grimmel that Hiccup and his villagers make the fateful decision to release their dragons so they can live in the Hidden World in peace. To be fair, there’s a distinct possibility Hiccup and his friends would have let their dragons go regardless of Grimmel’s influence, but it doesn’t complement their primary motivation well at all. Hiccup’s ending narration has him realize dragons will never be safe in the human world, which would have been more tenable had Grimmel been just as ruthless as Drago. Furthermore, I find it simply does not fit with the tone of the series. 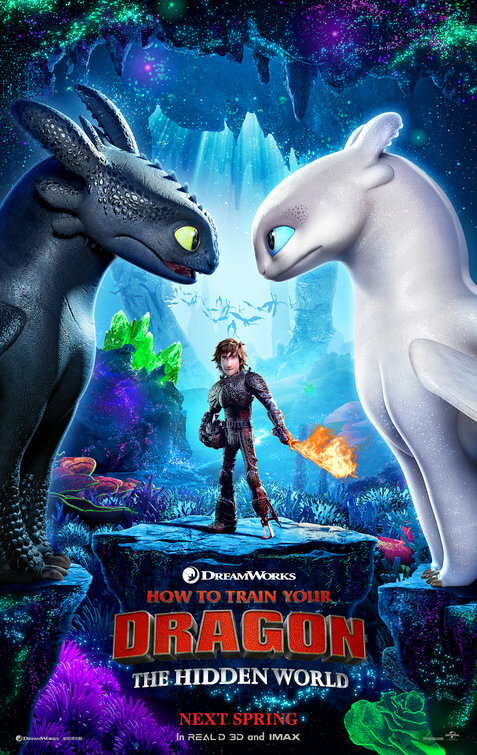 Much like the dark developments in How to Train Your Dragon 2, I find myself commending the writers for their bravely going in these shockingly mature directions, but the execution is lacking. From the very beginning, How to Train Your Dragon had subtly subverted several standard fantasy tropes. It presented a community in which humans and dragons could coexist in harmony only for The Hidden World to go back on this outlook and argue the opposite. Dragons are pure and good whereas humans are the real monsters. To anyone who had been following works of fantasy or science fiction in the 2010s, “humans are the real monsters” was its era’s “it was a dark and stormy night” in terms of inanity. To put it another way, The Hidden World shamelessly basks in the overused fantasy clichés when the previous two films either avoided them outright or took a more nuanced approach when handling them. While one could say the ending marked How to Train Your Dragon having well and truly grown up, I consider it the exact moment the series conformed to the era’s zeitgeist and it was, ultimately, worse off for it. There is a strangely common thread among trilogies in that many of them, even if they’re highly regarded as a whole, have one weak installment. What is especially interesting is that in most of these cases, whether you’re talking about The Godfather or Star Wars, the weakest installment is the third one. Though it seems odd that such a reoccurring problem was allowed to thrive unabated, the problem does make a lot of sense when you consider how trilogies are structured. The first installment introduces us to the world, its major players, and its initial conflict. The second installment is then the prime opportunity to build upon the first. Everyone should know who the characters are, so the writers can focus entirely on crafting a conflict worthy of challenging the now-experienced protagonists. However, when it comes time to conclude the overall narrative with the third installment, writers face a nearly insurmountable task. They have to keep their audience engaged when in many cases, they’re merely waiting for the pieces to fall into place. They know this is the installment in which the scrappy, underequipped heroes will triumph over the evil empire, so the writers’ job is to find ways to surprise when the audience effectively knows the ending ahead of time. Speaking on a more general level, endings are inherently difficult to craft. You have to take everything that has occurred up until this point and give it a proper sendoff. Attempting to craft an ending to a trilogy involves wrapping up three stories all at once. This is a task even the most talented writers who have ever lived would find difficult. What does any of this have to do with The Hidden World? The answer is that it unfortunately conforms to this strange trend. Although all three How to Train Your Dragon films are acclaimed, I firmly believe The Hidden World to be the trilogy’s nadir. The first two films were remarkable in how oddly subversive they manage to be. Even when later fantasy stories across various mediums since 2010 experimented in various ways, it’s still easy to appreciate DreamWorks’s own unique take on the genre. However, while the original film and its sequel defy many fantasy conventions, granting them a more timeless quality, The Hidden World unabashedly revels in the irritatingly prevalent fantasy trends of its day, directly and permanently binding it to the time period that spawned it. Although I don’t believe The Hidden World to be a bad film by any stretch of the imagination, it demonstrates just how important it is for a work to stick the landing – especially when you’re attempting to say goodbye to characters the audience have come to know. I see we agree on it being the weakest of the series. Yeah, I gave it a fair shot, but it’s just too mired in the era’s worst trends to recommend. This is a case in which I would say the original is still the best. Yeah, I’d have to agree with this assessment as well. It was fun! I had a pleasant time with it. But even if I get the specific itch for How to Train Your Dragon to scratch, I’d be going for one of the former two movies. Where the other movies play around with typical conventions, this one just falls in line, and doesn’t bring much new to the format. That’s a really weird reoccurring problem with a lot of subversive or parodic series – they end up becoming the thing they previously made fun of or gently mocked. The Hidden World kind of reminds me of Mother 3 in that it in its attempts to provide a darker, more mature story, it discarded a lot of what made the series appealing in the first place. That’s not to say this approach couldn’t work, but I think writers need to find a way to make a series true to itself as it grows up, and that requires a lot of skill to get just right.